The annual Highway 191 two-day driveout happened on the weekend of May 2,3 this year. The route for the driveout is below. 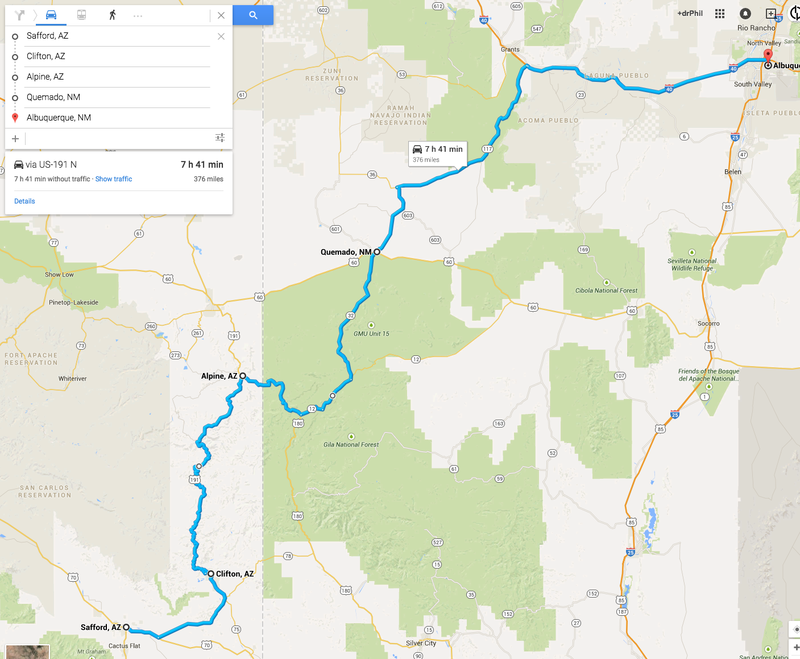 Day One is the drive south and west through Socorro and Reserve to Safford AZ. 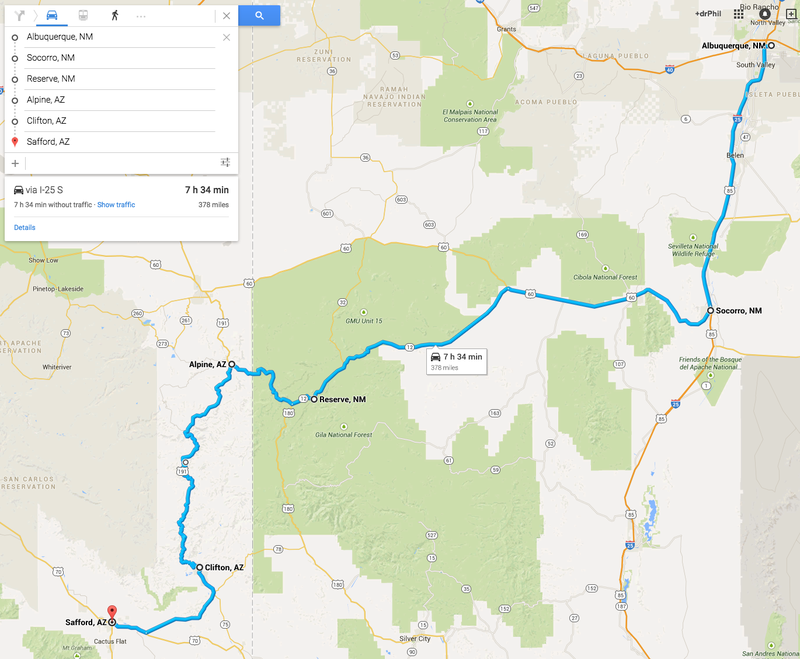 This year we decided to run Hwy 191 from north to south. Having never done this before, it was a blast! Day Two is hair care: wash, rinse, repeat. Having driven the road in both directions now, I don’t know which way is the best. I guess we’ll just have to do it again until we can decide! After another lunch at Ella’s Cafe in Reserve, the afternoon was a nice two-lane journey north into the Malpais through the Narrows and onto the official end of the PCA event in Grants. While Safford is simply a place to lay our heads overnight, it is known for both the copper mining operations to its north, and having a state prison and a federal correctional facility. For us Porschephiles, the attraction is its steakhouse, the Copper Steer, a place we have eaten at many times before and always enjoy. Fortunately, as with all PCA events, there were lots of photographers on hand, and here’s a sample of photos from the event in this gallery. Click to view photos. Bill Muir’s delightful 993 C2S. The only air-cooled Porsche on this trip. Rich Edgington came down from Colorado to do the drive in his new (to him) 981 Cayman S in amaranth red. What a beautiful color! James Wilson won’t miss a Hwy 191 trip, ….ever! Photo opportunity at Hannigan’s Meadow. Very nice photo by Jim Baca at Hannigan’s Meadow. These guys look dangerous! Photo by Michael Galaviz. Does that apply to us? Photo by Michael Galaviz. This is not a race… Jim Baca’s 991 GT3 at the copper mine. Photo by Michael Galaviz.